The "Silver Phoenix" is a beautiful hair cutting tool and features Washi's New Anti-Push Edge Technology. 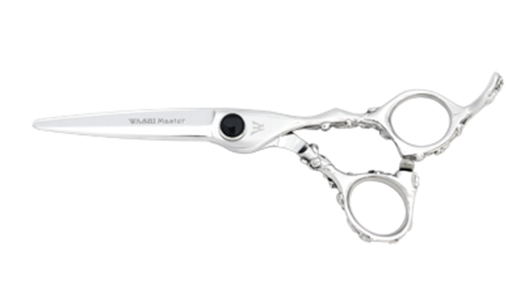 This shear is a delight to work with on wet or dry hair! Forged from Japanese V1 Steel for dependable long-lasting performance. It will live up to your highest expectations.Slice, cut, chip and glide through the hair, designing a hair style you can be proud of. New "Deco" handle is offset and embellished with rose-vine engraving (see detailed images below).